Jungle Red Writers: Who Killed the Corn Flakes? I don't have a relationship with cold cereal. I absolutely do not eat it. Never. Period. Hot cereal? Cream of Rice or Cream of Wheat is doable, but oatmeal is not. Coffee. More coffee. Think about cereal. Forget it. Have an apple and more coffee. You're funny ladies. No relationship with cereal? we need to call in the cereal therapist this morning! I like oatmeal (especially with bananas or walnuts-and-raisins) on cold winter mornings (when I'm not eating potatoes roasted to warm up the kitchen). But I also make my own (smaller size) oatmeal cookies with raisins (made with oil rather than butter, and I control/modify the ingredients) and one or two of them makes a good breakfast on the run (with coffee or tea) sometimes. In summer, when the raspberries come in, I like them with puffed rice or puffed kamut (and skim or 1% milk). And my secret to a great meat loaf (and my grandmother's secret to great potato pancakes) is crushed cornflakes (a/k/a cornflake crumbs) instead of bread crumbs etc. Absolutely improves both texture and flavor. 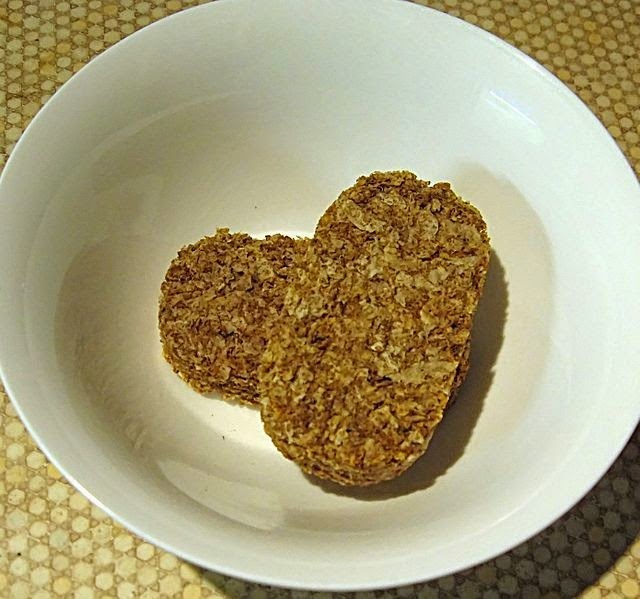 But after years of experimenting, I find that there IS a difference between branded cornflakes and generic ones, and I only use Kellogg's corn flakes (put them into a plastic bag or between sheets of waxed paper and run a rolling pin over them to create crumbs). Joan, see, there yo have it. NO cereal. (DId you ever eat it?) And see how much you and Reine have in common? And I envision those grocery store shelves...remember how much cereal is there on display? I always marvel at the variety..
Brits and Canadians and overseers Reds, are US stores unusual? Yep, Hank, I ate cereal when I was a kid --- didn't like it at all . . .
Reine has the right idea --- I'm good with the coffee . . . .
Ellen Kozak: CORN FLAKES IN MEAT LOAF? Though I'm sure I'd like the taste. There are a lot of great-tasting recipes out there that use ingredients like K corn flakes, Ritz crackers, Nabisco vanilla wafers, or Coca Cola. And can we talk about peanut butter next? Because I confess a preference for Peter Pan. I eat cereal almost every morning. The type of cereal has changed with age. Now mere days away from forty, I prefer cereals that aren't sugar-coated (literally or figuratively): Cheerios, shredded wheat, oatmeal, etc. I don't like my day's worth of sugar at breakfast. Yes, but Gerald, when the sugar gets into the milk, it's delish. I am not a fan of "things" in cereal though, marshmallows, gum, fake fruit. And I agree, Ellen, there's a difference in Corn Flakes. I wonder why? In fact, thinking about it, generic cereal is never very successful. When I was in college, I started a torrid affair with Lucky Charms because I was never allowed to eat sugar cereals as a kid. We had a few passionate years and then I went back to Cheerios. Cold is good--but no yucky additives--just fresh fruit in season. Hot is better--oatmeal with raisins or dried cranberries, brown sugar, some nuts--yum! But speaking of peanutbutter and cookie versions--I make a great breakfast cookie with oatmeal and peanutbutter--adding in nuts, cranberries, raisins, and chocolate chips--because even breakfast is better with a bit of chocolate! I'm with Reine, too! COFFEE! I've never heard of mamaliga! But it's such an evocative name, isn't it? Wait--with cottage cheese, Triss? I can't picture it. Lucky CHarms! ActuallyI know lots of people who adore them, and crave the charms. The leprechaun always bothered me. So are you guys fans of crisp? Or soggy? Oatmeal every morning for us...I add flaxmeal and banana and yogurt, he adds banana and raisins and 1/2 and 1/2. Something to do with age I think! I like steel cut Irish oatmeal with cinnamon, brown sugar walnuts and banana, but if there's Cocoa Puffs around...no contest! Unless there's no milk. When the youngest left for college I stripped the pantry of all junk (Doves chocolates are brain food and they stayed). I became a granola with Greek yoghurt person, switching to oatmeal with raisins in winter to fuel up before to shoveling the driveway. I eat cereal every weekday morning. Like Jonathan, I bring a box to the office and eat it at my desk, with soymilk. I tend toward the Kashi line, GoLean, or Heart to Heart, which is like Cheerios for people with health food pretentions. I loooove oatmeal, especially steel cut oats, which I make in the rice cooker on weekends because I can put the oats and water in the night before and hit the timer so it is ready when I get up. Like Brenda, I have cereal every weekday morning. It just seems the easiest thing to do before rushing off to work. Most often, it is Honey Nut Cheerios. 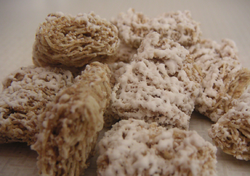 Occasionally Frosted Mini Wheats. Less often, but for a treat, Oh's. Not even sure they are available everywhere. Basically a larger cheerio with some nuts and oatmeal in the center - attached with sugar, no doubt. I did love Captain Crunch growing up. And I have to agree with Julia, it is the crack of cereal. And likely not much better for you than than the drug itself. I do love oatmeal, and adding cinnamon makes it taste sweet without adding sugar. Ooh, but I was with Hank as a child. I always waited until the milk made my Wheatie soggy. Loved them that way. Eating my morning oats (rolled, not packaged, or steel cut) as I type - with honey, dried cranberries, and a splash of almond milk. I used to love Honey Nut Cheerios, and Rice Krispies, and Frosted Flakes...but unlike Hank, I don't like the soggy! The crispier the better. The oatmeal (old fashioned rolled oats) goes in the meatloaf instead of bread crumbs (or corn flakes). We keep multigrain Cheerios and corn flakes around for the occasional snack but breakfast is whole wheat or rye toast and coffee. I love Quaker puffed wheat but it is hard to find in stores. Great topic! I can do cold cereal - but no flakes! I detest soggy cereal, and flakes get soggy too quickly. The exception seems to be Special K - I do the Red Berries, Vanilla-Almond, and Maple-Cinnamon (when my kids don't eat it on me). I adore Lucky Charms (but I don't eat it too often - to much sugar). In a pinch, Honey-nut Cheerios work (plain Cheerios are ewww). Oatmeal: Remember that kid in elementary school who took the dare to eat library paste? Yeah, that was me. And that's what oatmeal reminds me of, no matter what you put on it. Bleah. So yeah, Julia, wallpaper paste. But since I eat breakfast at my desk, it's usually a bagel with cream cheese, yogurt and granola, or something equally portable. I'll admit I'm a Cereal Killer. I haven't had a bowl in years. As a kid I was a fan of Cinnamon Life, and the Monster cereals, preferably Count Chocula. I recall the razor sharp edges of Captain Crunch- the size and shape of shattered safety glass- if you didn't let them soak long enough in milk. And the sugar soup left in the bowl once you ate all the cereal. As an adult I binged on Reese's Peanut Butter cereal a few times. That stuff is like crack. Then I graduated to Blueberry Morning, which was more like mueslix or granola. These days I lean towards tofu scrambles or eggs on an English muffin, or steel cut oatmeal with a banana. I lost my sweet tooth somewhere along the line. I still have all my bacon teeth, though. Hank, I liked cereal the way you did when I was a kid: covered in sugar. But then I had kids. The oldest and youngest are 17 years apart, so I've spent way more than my share of cleaning up mushed-up cereal off highchair trays, and dumping icky half-eaten bowls of soggy cereal. It repels me now. However, my husband makes up for my rejection: he buys cereal by the half-dozen lot of boxes at once, and eats a big bowl of the stuff, with a banana, every morning of his life. I leave him to it. Our kids used to also eat heaping bowls of cereal, sometimes mixed (the house rule was mostly healthy stuff, with just a little of the sweeties in it), with barely enough room for milk, but neither of the two younger girls eat it now. My breakfast, unless I'm traveling, is always one cup of coffee, a Kind bar, and a square of really good, high-cocao dark chocolate. If I'm traveling, I prefer to get eggs, any way. Sometimes we have oatmeal for lunch, and sometimes we/I have omelets or poached eggs. But I eschew any kind of packaged cereal. Blech, ptooie. Rhys, I never heard of eating Wheatabix hot. How does that work? And Brenda, do you use the porridge setting on your rice cooker? I love my rice cooker for brown rice, but have never got round to trying anything else. And it's getting to be oatmeal season! Oatmeal is strictly a "cold morning" thing for us in Texas. Can't stand the thought if it's 90 degrees outside at breakfast time! Honey Nuts 'N Oats - love it! With a banana sliced on top. It's sometimes my midnight snack too. When I have hot cereal, I like to keep it a solid island in a lake of milk. About a quarter of a century ago, we were guests of a Very Wealthy Family in their Very Museum Quality Estate (think Downton Abbey in the US). The last day, we were the only ones at breakfast before we had to leave to catch our plane. The ritual was, you rang a little bell, and the butler came and asked you what you desired, and then he went back to the butler's pantry or the kitchen and got it-- in the case of milk for one's cereal, he brought a little silver tray with silver pitchers of milk, skim milk, and half-and-half. Then he-- and the tray-- disappeared. 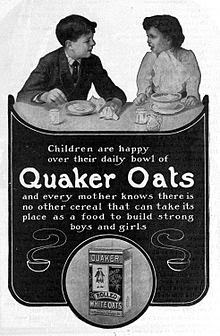 We had some wonderful long-cooked oatmeal that day, but it turned out I hadn't taken enough milk when it was first served. But ring the bell and have someone make two trips so I could add some more? I grabbed the butter dish and substituted a couple of pats of butter for the missing milk. Clearly, I am not to the manor/manner born. Just couldn't make someone make two trips because I wanted two tablespoons of milk. we always ate cereal for breakfast when I was a kid...how could you not pass the time by reading the box? Or hoping you would be the kid to get the magnificent prize? I rarely eat cereal for breakfast anymore, but still love Cheerios or Cap'n Crunch dry while watching a show or reading! Ellen, laughing my tail off! My youngest nephew is an 'oatmeal island in the middle of the milk' person, too. He especially likes the sugar all melty in the center and sprinkles (seasonally chosen!) on top. Back in the 40s it was real oatmeal with raisins. Even our dog Spot loved it, although he spit out the raisins! Graduated to Frosted Flakes, Sugar Pops/Smackes(? 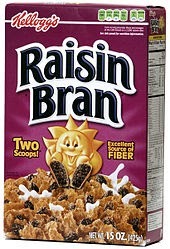 ), Shredded Wheat, Raisin Bran. Now it is instant oatmeal with a tiny box of raisins, or generic bran flakes with raisins or fresh berries. Have to watch the carb count so that eliminates a lot, including OJ - which I really miss. I have never liked cold cereal. Granted, I never had any of these growing up. My parents were eating good for you cereals before it was cool. However, I do like hot/cooked cereal. Not that I make it for myself. 6 days a week, I usually have a banana and some yogurt (once again with frozen fruit thawed and mixed in). On Saturdays, I have frozen waffles with real maple syrup. Oatmeal with craisins, dates, apples, walnuts, and a drizzle of maple syrup (or not) plus a dollop of plain yogurt is the go to breakfast. The more stuff you put in it the less it tastes like wallpaper paste. Being lactose intolerant tends to limit cold cereal as a choice. Hot buttered Os - my daughter used to make them all the time. What does steelcut even mean? Oh, right, Pauline, reading the BOX! Such fun..and we used to argue over who got it. Was there actually stuff to read on it? ELlen, that's a very sweet story. on many levels. Truly you are a person of the people, manors or manners aside. Debs, Wheatabix hot is easy. Just pour hot milk over it and it goes all mushy and easy to swallow on mornings when food doesn't want to go down. ANd can we talk about milk in oatmeal, though? Jonathan puts half and half on his. I cannot understand it. Why do you put MILK on your oatmeal, I asked? Which made sense, but I cannot do it. 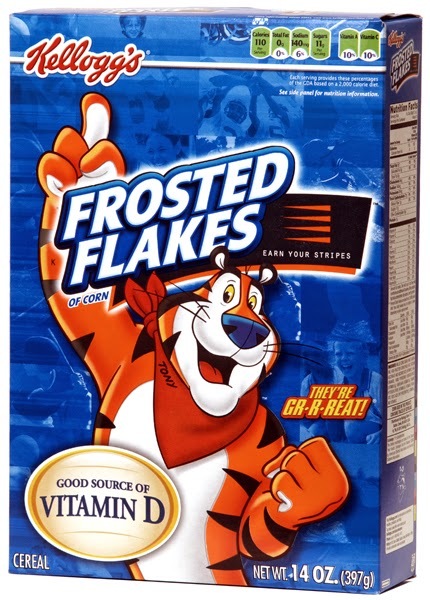 I confess: I still love the cereal of my childhood, Frosted Flakes! Only in warm weather, which is not most of the year in Colorado. I discovered that Grape Nuts, heated for a minute in the microwave, with brown sugar and a tiny dab of butter makes an excellent hot cereal! Another cereal story: I was eight years old when my parents first took my sister and me to NYC (from the wilds of Wisconsin). We ate almost every meal at the Automat, which had a cafeteria line at breakfast. There were big pans of cooked cereal and big pans of milk on the steam table. One cereal was called Wheatsworth, something I'd never heard of. The Cafeteria Lady (is there any other name for the women in hairnets and aprons who labor behind the steam tables when you go through a cafeteria line?) would take a huge ladle and empty that much cereal into a bowl, and then ask if you wanted milk. If you did, she would take another huge ladle and add that much milk to your bowl. Regarding oatmeal, the sturdier the better, not goopy. I will microwave it for 3 minutes to get the right consistency. I remember having Cream of Wheat as a kid and just detesting finding lumps. Blech. I have oatmeal most mornings, old-fashioned, not the packets I used to buy, with milk and cinnamon and maybe ginger. I've gradually reduced sugar to almost none. Cold cereal with bananas used to be my standard breakfast, until the latex allergy took away the bananas . . . still miss them.
. . . and coffee!! and fruit and chocolate, before the oatmeal, or about once a week, eggs with veggies. Whew, I was getting anxious -- Lucy's recipe, how do I get Lucy's recipe, and then, whew, you provided the link later in the post, Lucy. Thanks! When I was a kid, there were the Cheerios moms and the Fruit Loops/Captain Crunch moms. Anyone like me and wanted to sleep over at the Fruit Loops/Captain Crunch houses? Thomas, Count Chocula! Oh my god. Haven't thought of that one in years. Count Chocula! I STILL think about the committee that made that baby up. What were the other monster cereals? PK! Lumps in Cream of Wheat! All of us kids, five of us, used to REFUSE to eat it. Still, it was kind of fun to play with. Gail, I adore Grape Nuts. But what are they actually? And why would anyone name them that? Ah, Hank, your husband is a good one. Cheerios is just right in so many ways, and I just trust people who eat Cheerios. LOL! For me, I don't eat cereal for breakfast, but I have lately begun to eat a bowl of Cheerios for lunch or a snack sometime during the day. I don't add sugar, but I occasionally add some sliced bananas. With my recently diagnosed ulcers, this oat cereals seem to be a safe choice, one that I find tasty, too. Whole-grain steel-cut oatmeal with fruit and soy milk is a recommended choice for ulcer patients, but I haven't tried that yet. My daughter eats oatmeal in the mornings, and she has gotten her children acclimated to it, so they are fortunately eating healthy already. Husband likes oatmeal, too, but I cling stubbornly to my Cheerios. Oh, and Reine and Joan, coffee for sure in the mornings. Since I don't eat cereal in the mornings, I usually have an English muffin. When I travel, I love to eat breakfast out, which consists of eggs, bacon, hash browns, and toast. At home, it seems like too much trouble. I used to eat all that stuff and have since developed all the food intolerances one human can have. So now I have a potato and a turkey "sausage" patty, of my own making, for breakfast. This morning was left over bubble and squeak. Steelcut oats are less processed than the other kind--they are merely chopped up, rather than milled or ground. Which is why it takes so much longer to cook them, but also why they have more fiber and nutrition. Growing up I ate whatever cereal my mom had in the house. There were eight of us, so there was probably a lot to choose from on any given day. Now, I'll eat Multi-Grain Cheerios or Shredded Wheat without added sugar. I will add whatever fruit is available. Hot cereal? Never! My mother tried Maypo, Cream of Wheat, oatmeal and whatever. It's a texture thing for me. I just couldn't put it in my mouth. My mother firmly believed if her children did not eat an enormous breakfast they would faint before 10 a.m. She was inclined toward bacon and eggs or oatmeal. She viewed cold cereal with suspicion but was harried into buying it by her children who were influenced by Saturday morning cartoons. I loved Frosted Flakes or Sugar Pops and my younger siblings adored Cocoa Puffs. Nowadays I eat only Cheerios but not often and usually as a fast summer supper with fresh strawberries or fresh peaches. Breakfast must be portable, no time to sit down to a meal in the morning, and it's usually granola bars, yogurt and fruit. Yep. There are 19 PAGES of secret menu options, Hank. Many of them, though, are truly gag-worthy. A friend was a barista for a year recently, and she said they have more than 1600 ways to serve a beverage. Boggles the mind, doesn't it? By the way, most of the chain restaurants have secret menus, although not every outlet of the chains will serve from them, or even know about them, partly because they change all the time. Google it. You'll be surprised. Eileen, are we all now remembering the ad: I want my Maypo? Interesting how they made a whole commercial based on a kid having a tantrum. THAT'S enticing.. There really is some kind of zeitgeist at work here, as I have recently undergone morning cereal trauma. I grew up eating cereal for breakfast and had settled into Raisin Bran until doctors got all fussy about cholesterol and it came to light that oat based cereals helped reduce cholesterol. So I moved to Cheerios and ate them happily for over a decade. Now I work with a fitness coach provided by my healthcare insurance provider, and she launched into a diatribe about how I was poisoning myself with processed garbage like Cheerios and my other fond indulgence, Pepperidge Farm Goldfish. Since she responded to all my objections with "And how often do you have to go back through your weight loss routine?" (a pretty compelling argument,) she finally wore me down. So now my day starts with old fashioned oatmeal with raisins and walnuts. Honestly, it tastes fine to me and truly does keep me satisfied all the way to lunchtime better than my Cheerios did. But it also takes longer and leaves me vaguely grumpy because it wasn't my idea. Ha! Did you ever start a thread, or what? Being of what they call "a certain age" I remember when cereal boxes had masks on the back. Once you finished the cereal, you could cut out the mask and wear it for, oh, maybe 30 seconds before you got bored. My sister and I used to hound my poor mother to buy cereal for the masks--and we both hated to eat the cereal. So we would sit and poke at it until it was a gloppy mess. Finally my mother would throw it out. The horrible thing is, during those days my family really had to pinch pennies. I can imagine my poor mother gritting her teeth when she had to throw out uneaten cereal to get the stupid mask. We were the "no sugar cereal" family. Regular Cheerios, Rice Krispies, Shredded Wheat, Raisin Bran, or Corn Flakes. That was it. No wonder I didn't eat cereal until I was married and could buy whatever frosted-sugar bomb I wanted. I did like Cream of Wheat with a little brown sugar on it. Count Chocula, Boo-berry, Franken-berry were the Monster cereals I remember. They only come out at Halloween now (I think). It's mostly oatmeal or granola (a little bit on yogurt) for me now, but if forced I would eat shredded wheat. My husband, who went to college in Northfield, MN, likes Malt-o-Meal; my mother used to serve us Maltex but I didn't like it. Hank, I entered your giveaway but it's going to look funny and I probably didn't read the rules carefully. I've pre-ordered Truth Be Told and had already bought and listened to The Other Woman on Audible. So, it should really only be one entry. Since my doctor prescribed "more fiber" *sigh* I concocted a mix of Golden Grahams and Fiber One. Now, I gotta have crunchy. I like the spoon and the milk to race each other to the bowl. I'm an engineer, a lawyer, and a writer. If it wasn't for cereal, I'd have starved a long time ago. I LOVE cereal. I think I have single handedly kept Kellogg's Quaker & General Mills in business since 1970! My tastes have changed, but I still I have my old favorites. As a kid my top cereal was Cocoa Puffs, followed by Coco Wheats (a chocolate version of cream of wheat) and 3rd place was Fruity Pebbles. I can't believe my mom let me eat all that sugary crap! As I got older I gravitated to more healthy options, Rice Krispies (I have to eat them fast, I can't stand when they are a soggy mess) Cheerio's (ditto the soggy mess) and my OB/Gyn prescribed Frosted Miniwheats when I was pregnant, because I needed more fiber and he said he knew most people would not eat straight bran, so he was okay with the sugary aspect of the frosting. I still eat those, plus I eat Honey Nut Cheerios (had those today) in addition to the regular ones and my new fav healthy choice is Kashi Go-Lean (the original one with 5 shapes of different grains). It's high in fiber, protein and it's filling. When it's chilly I will eat instant oatmeal, non-flavored and I add a little sugar. I don't eat eggs much, they are my go-to vacation breakfast. I find that hotels and cruise lines make excellent scrambled eggs. I have not been able to replicate them at home. I will make a Pakistani omelet, maybe once a month. That is more like a frittata. I put in minced onion, tomato, bell pepper or hot variety if you like, finely chopped ginger root, cilantro and cheese if you like. You whisk all, but the cheese into the eggs, fry like you would an omelet, flip over and then add your cheese, fold & serve with buttered toast. Yum, I'm craving one right now!! Costco Blueberry Pecan or whoever's Crunchy Pecan/Pecan Crunch. Dry. Never milk. Sometimes yogurt - which doesn't destroy the crunch. Always fruit or extra fruit and extra nuts. Never liked milk with my cereal - too soggy. I do like hot cereals on cold mornings - oatmeal or cream of wheat. Instant only and even then I add fruit, nuts, and flax seed. I may be OCD about this! Barbara, I am coming to your house for the omelet! And yeah, prizes and masks, Terry! Weren't there quizzes, too?? and puzzles? Then I went all protein so I get BACON! And egg whites. And now I'm back to the secret Starbucks menu. Does ANYONE else know about that? OOoooh...I get it. You're not gonna talk about it. stitchkat--I think it's great when we love something so much and we look forward to it. I LOVE plain yogurt with raspberries and oat bran. I could eat that every meal. I forgot Malt-o-Meal. yum! Thanks for the reminder Auntie Knickers. It's a great contest, isn't it? Are you all seeing the link on the main blog to the TRUTH BE TOLD contest? Go back--it's at the bottom of today's post! Thanks Hank Phillippi Ryan. I do love yogurt and fruit as well. The oat bran sounds like a nice addition. Hank, my 14-year old told me about the secret Starbucks menu. I had no idea. Well let's see. Cereal and me. Coffee and me. I grew up on café au lait. When I lived with my great-grandmother that her camp, she cooked oatmeal overnight in an iron pot at the back of her old black stove. It was delicious. Nothing like it since. I was spoiled. When I lived with my mémère in Salem we had café au lait and crêpes that were fried in bacon fat and embedded with the bacon. Stuffed with a filling of creamy cottage cheese and chopped onion. Yes. Then smothered with very dark real maple syrup from Québec. Oh, yes, I remember "I want my Maypo." And, upon further reflection, I remembered that I used to love Life cereal sprinkled with some sugar. 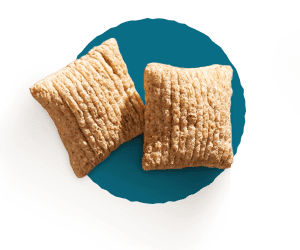 Also, growing up, we were more likely to have scrambled eggs and toast than cereal, but I do remember looking at the boxes of cereal when I went to the grocery with my mother and wanting ones that were especially fun looking. She occasionally bought a box of something popular. Yes, oatmeal using the porridge setting on the rice cooker. Works like a charm, and I love the word porridge, too. Important caveat: It is essential to use steel cut oats. The regular kind come out mushy in a rice cooker. 74 comments and counting. That really struck a chord. So what, I wonder, do they now call Sugar Crisp? Of course I looked it up. Sugar Crisp is....Sugar Crisp. In Canada, that is. In the USA, apparently they're now called Golden Crisp. Special K with milk is my morning breakfast. My Dad used to make me a boiled egg and place it in an egg cup every morning, God bless him. A memorable English breakfast in London consisted of eggs, sausage, fried tomatoes and the really delicious BLOOD PUDDING. delicious, believe it, or not. I'm a big fan of cereal and always have been. I like steel cut oats though I don't often take the time to make it, and oatmeal is my go-to breakfast all winter. I like the texture of "old-fashioned" oats better, and I put dried cranberries in the water when it's coming to a boil, then add flax seed meal with the oatmeal. A little brown sugar and that's all it takes - NO MILK. When I was growing up I hovered next to my mom as she made it so I could add the milk and stir it all up before it turned into congealed oatmeal in a puddle of milk. As an adult I realized I like the oatmeal just as it is. As for dry cereal, every year or so I have a craving for Peanut Butter Captain Crunch. I buy the biggest box I can find and eat it all in about two days. The roof of my mouth is in shreds, but it's oh, so yummy. They float, so I'd pour the cereal, add the milk, eat the cereal, add more cereal to the leftover milk, add a little more milk because whoops, too much cereal... My warm weather go-to cereal is Grape Nuts. I like them with milk and a tiny bit of sugar, but I have to eat them fast so they don't get soggy. Even better, now I add them to my Greek yogurt (it's awesome with Fage Toasted Coconut yogurt). They stay crunchy and it's relatively healthy. I can't believe no one has mentioned my favorite cereal: Product 19. It has 100 percent of nineteen vitamins and minerals (which is why I call it the vitamin cereal). It's pretty tasty, and on mornings I don't eat it, I find myself dragging, so I know that the cereal has a positive affect on me on mornings I do eat it. 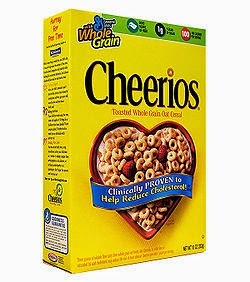 I'm also a fan of Cheerios, especially the darker, toastier ones at the bottom of every box. They should make boxes just of the toastier ones. Product 19? so weird..doesn't it sound like alien breakfast? I am SO loving these answers! I'm eating cereal right at this moment - Quaker Oatmeal Squares with a Hint of Brown Sugar, to be precise. I eat dry cold cereal mostly as a snack. The Oatmeal Squares are when I want something sweet or for non-sweet, I'll have Crispix or Corn Chex. For breakfast, I like to cook my oatmeal from scratch and add raisins and pumpkin pie spice. Yum! I discovered Alpen cereal in England years ago, and it quickly became my fav cold cereal. Central Market carries it here. I also like Grapenuts, funny name...it's neither grapes nor nuts. In winter, I have hot Grapenuts. My go to breakfast is either lightly buttered toast (sometimes cinnamon) or cereal and always a cuppa tea with soy milk. No coffee. Doesn't like me...but hot tea and I have been together for 50 years. Sliced banana is tasty on hot or cold cereal. I've never been a cold cereal person. I like an egg and have found that a hard boiled egg can be chopped up and heated in the microwave for 30 seconds and a little butter added and voila! I will eat Cream of Wheat or Rice, Grits, or Irish Oatmeal! Exactly, Carol. Grape Nuts. And no one has successfully explained that name. And Debs was fabulous at the Harvard Coop! And the winner of Writes of Passage is: Gail Huddleston! What a wonderful day, darling reds! See you tomorrow! Of course Debs was fabulous! Looking forward to photos!